Procon's Series 1 pumps have the protection of an integral inlet strainer. The standard strainer is a 100 mesh wire screen which traps particles thatcan cause serious damage to the pump. The strainer is equipped with a removable cap to allow periodic cleaning--every 4 months under normalconditions (more frequently with hard or turbid water). 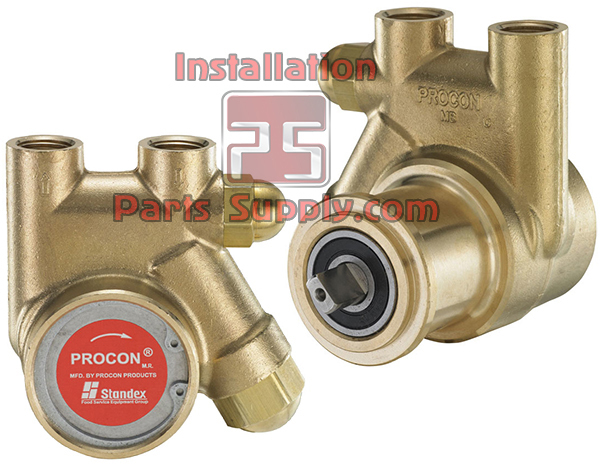 Procon's Series 2 pumps have the same features as the Series 1 except they do not have the integral strainer. 3.56" x 3.49" x 3.86"